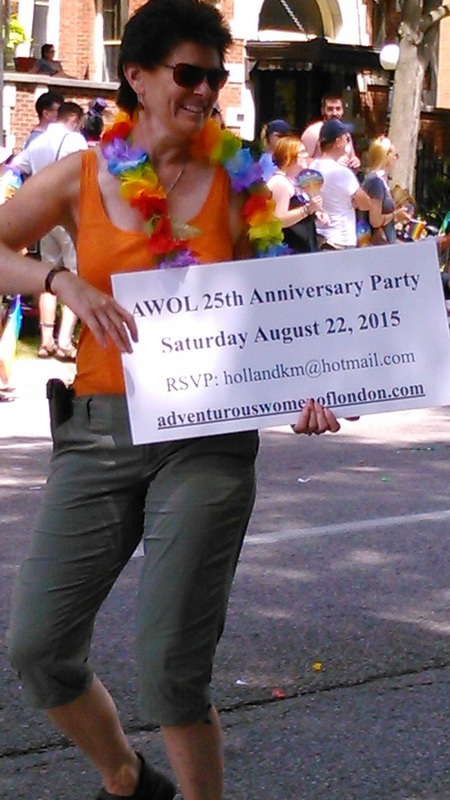 Adventurous Women of London (AWOL) was born out of an idea from a small group of women who wanted to engage in fun activities with other women or in particular, other lesbians. So in September 1990, it was advertised in a small women-owned bookstore called Womansline located on Richmond Street, that an event would be held to see what interest there was in forming a new group. Wouldn't you know – 30 + women showed up, each with a dessert to share and tons of activity and event ideas that formed the basis of the first several AWOL newsletters. The one-page bimonthly AWOL newsletters were posted on the bulletin board at Womansline for free pick-up or mailed to those on a mailing list. It consisted of one AWOL event a month and a small FYI section at the bottom and with no events booked over the summer months. There was a small annual membership fee of $10 to cover postage, printing and miscellaneous costs like name tags at events. Early event included wagon rides @ Circle R Ranch, bowling, touch football, volleyball, weekend camping at the Pinery etc. By about 1998, the delivery format of the newsletter changed to a largely email-based one and the content grew from 1 page to its present length of 6 to 8 pages depending on the busyness of the season. By 2005, subgroups were born so that members could join themed groups or clubs that would meet more regularly, often monthly. Examples of them are Fine Dining, Motorcycle Enthusiasts Club, Inspirational Discussion Group, etc. 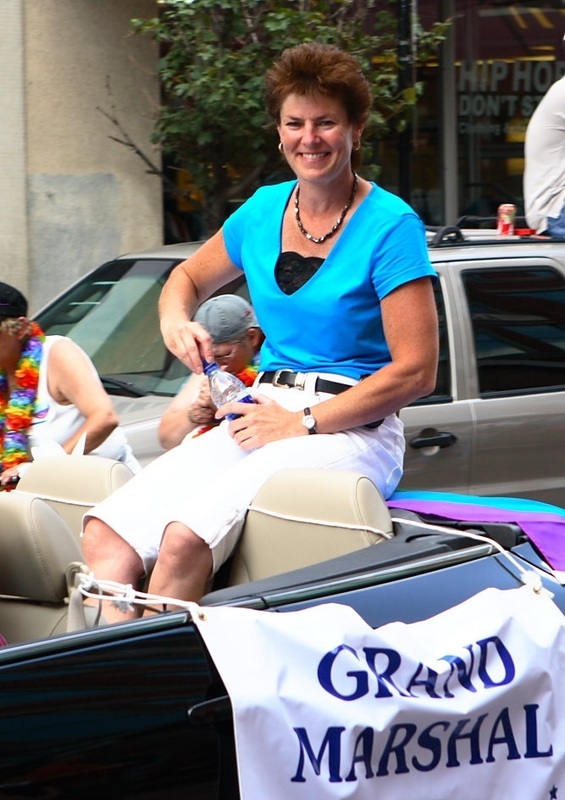 Kathleen Holland, the Coordinator of AWOL, attended that very first dessert event in September 1990 and most other events to follow. About a year later, she was asked to join the organizing committee and shortly thereafter she became the Coordinator of AWOL organizing most of its events and the Editor of its newsletter. 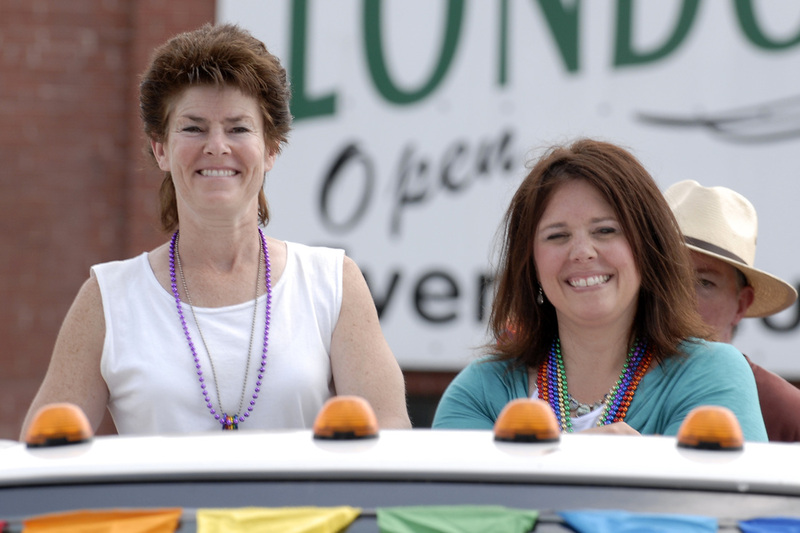 In 2013, she welcomed Shannon Thompson into the AWOL fold to create and maintain a new website where the public and members may access AWOL general information and AWOL-hosted events information including updates like cancellations/changes. Exclusive to members only is access to the photo gallery with a large collection of photos taken at events spanning from 1990 to present. The AWOL newsletter will continue to be emailed to members each month as this will be the way in which the large FYI (For Your Information) section will be delivered and updated each month. Enrich your life. Join AWOL and participate in the activities. Meet other women, in a safe setting, who are positive passionate and interesting. Members are always encouraged to host AWOL events/activities about which they are passionate and interested…your life will forever be changed! Access to the Photo Gallery is restricted to AWOL members. If you are interested in becoming a member contact .